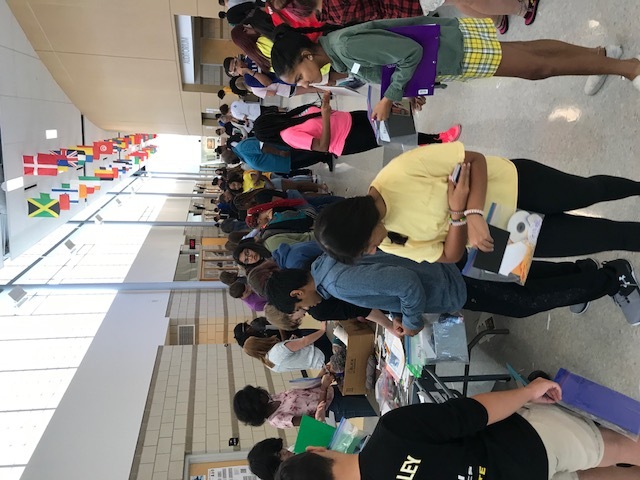 The Metea Valley Art Department teachers and their student artists came together to begin their creative efforts as a group this year. They turned the Auditorium Hallway into one large studio and approximately 450 students worked collaboratively to bring to life this 7-panel installation comprised of individual parts. 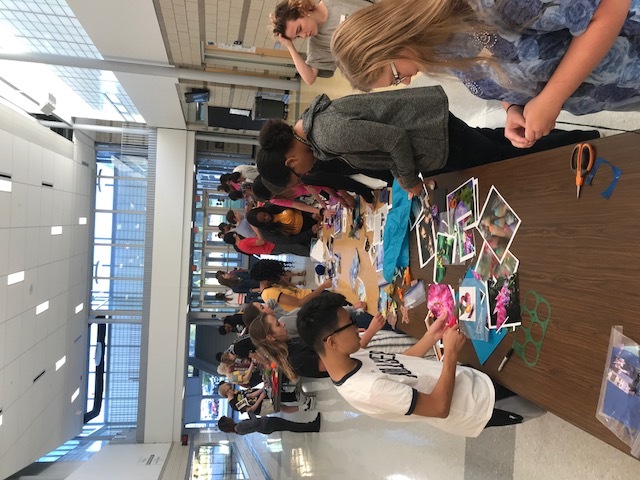 Unified as a creative group, teachers and students worked within a framework designed to stretch their minds and participate in a hands-on experience using a variety of materials. Establishing the framework with instruction regarding the Elements of Art and Principles of Design, basic color theory, and stylistic approaches of abstract and non-objective art, student artists were able to explore and discover unique art-making possibilities. The benefits of this shared experience include: the expansion of critical and creative thinking processes, the ability to explore and discover, the opportunity to exchange ideas and approaches, the potential to build new relationships, and the expanded sense of wonder and connection with the essential human need to express ideas and emotions. This installation is currently housed in the Auditorium hallway at Metea but the plan is to showcase this exhibit in many parts of the building. This was a wonderful and energizing way to begin the school year and come together as a community of artists.